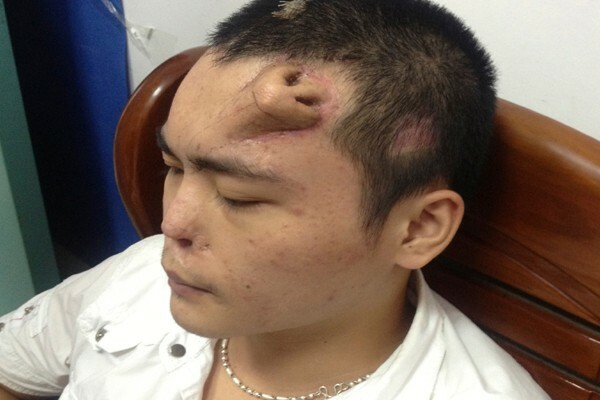 This bizarre photo is of a Chinese man growing a nose on his forehead. 22 year old Mr Lian, from the FujianProvince, damaged his nose in a car accident in 2012. He couldn’t afford reconstructive surgery at the time and subsequently his nose got infected and further ate away at his cartilage. So now surgeons are growing a new replacement nose on his forehead made from cartilage taken from his ribs. 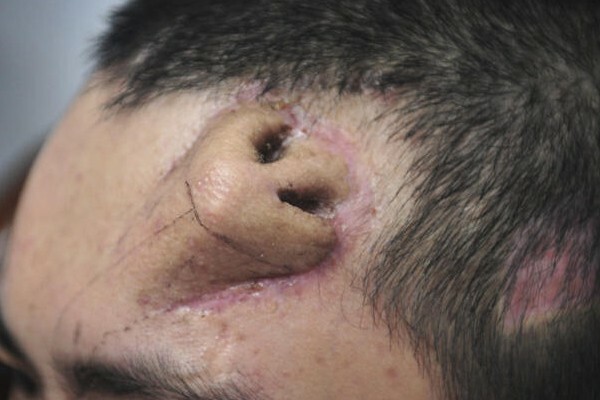 This weird photo shows the nose after nine months of growth – when it is fully grown Surgeon Guo Zhihui will cut the nose from Lian’s from his forehead and graft it into position.